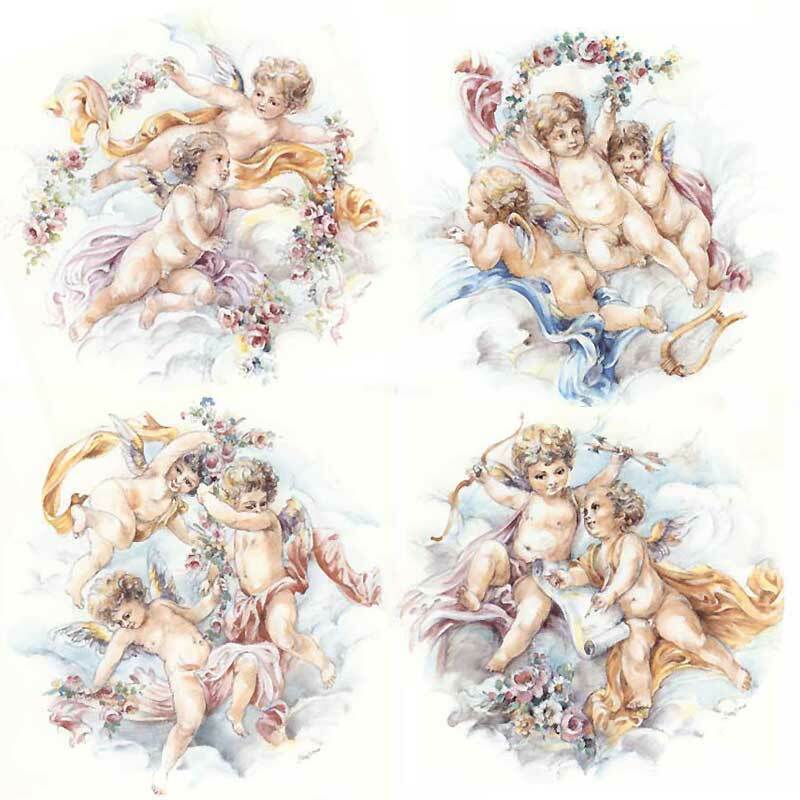 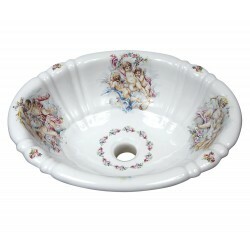 Create an enchanting atmosphere in the powder room on a pedestal lavatory with these delicately painted cherubs with ribbons and garlands of pretty flowers in pastel hues. 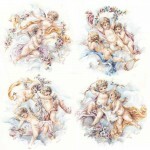 Four different motifs, highlighted with beautiful shades of pale blue, gold, pink and gray. 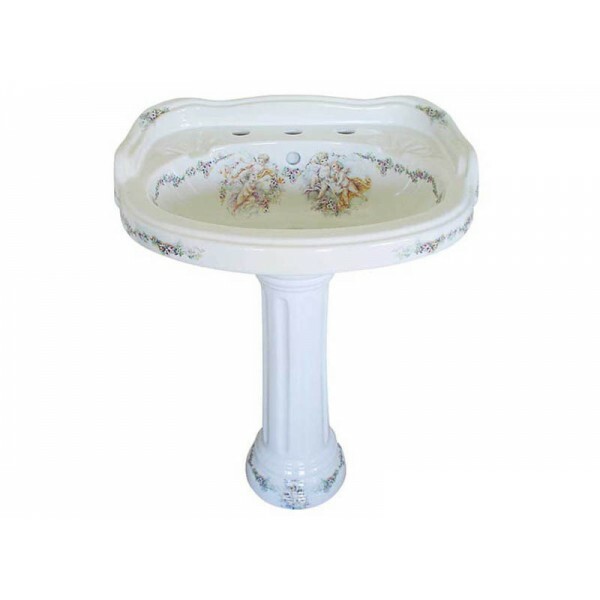 Shown on a (very) Large Traditional Pedestal (no longer available). Can be adapted to any fixture. Visit the Fixture Choices page for more info.